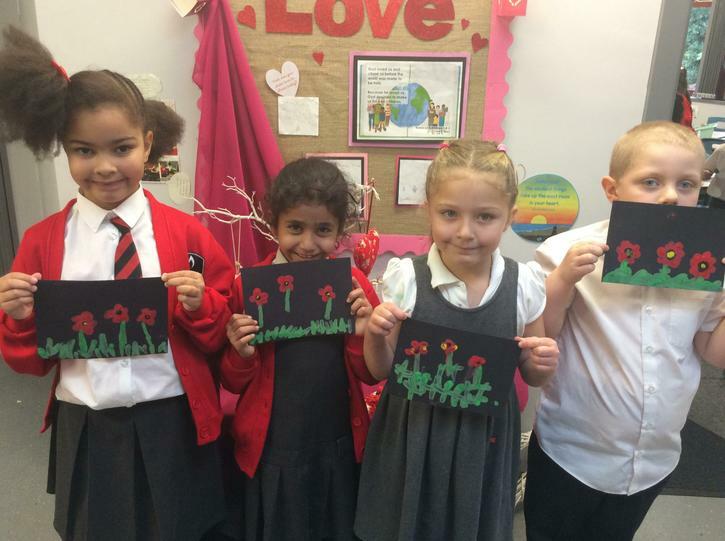 During our art lesson we looked at the local artist Paul Curtis who painted the famous wings in Liverpool. 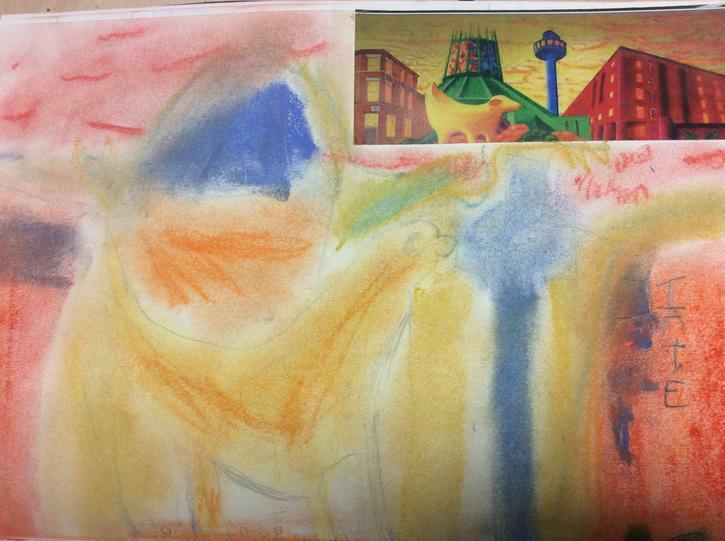 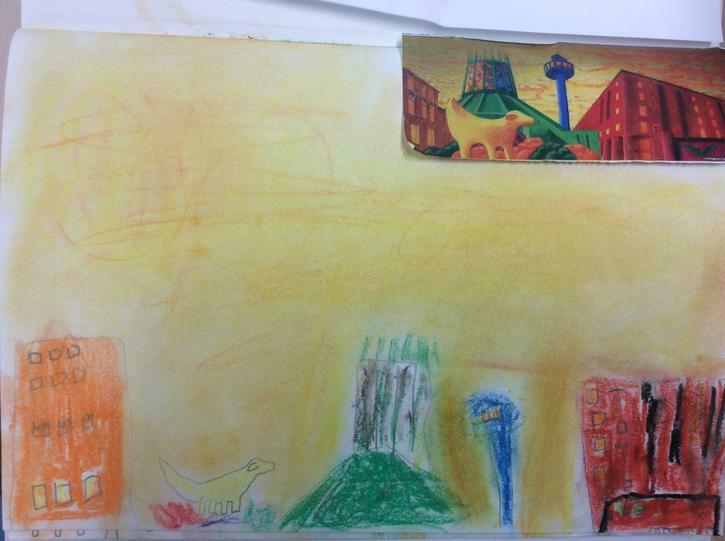 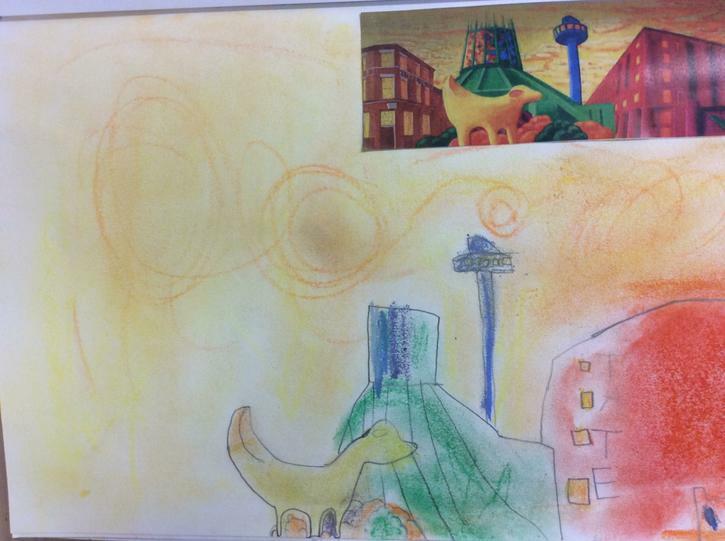 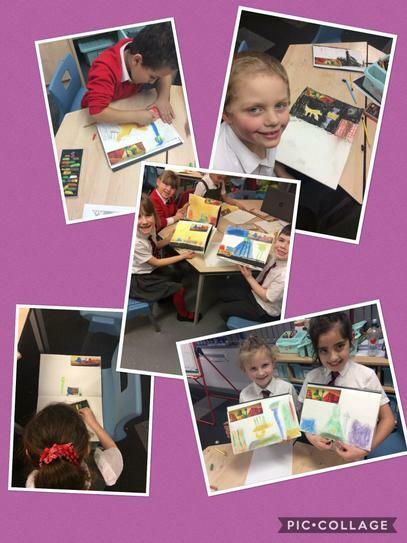 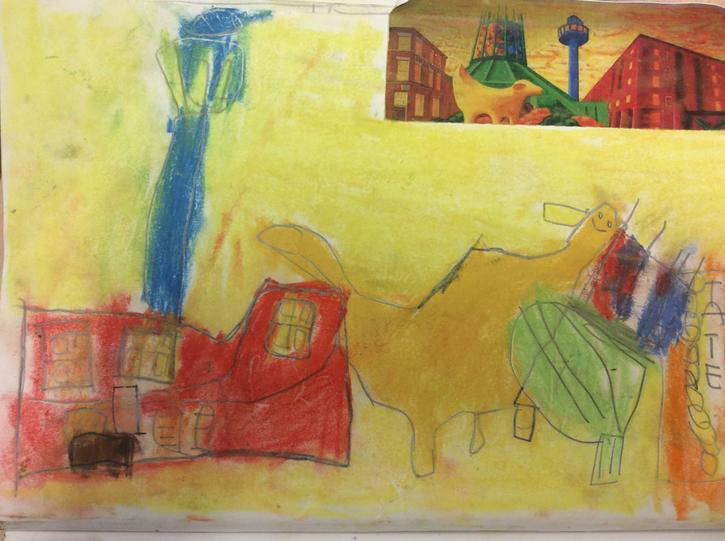 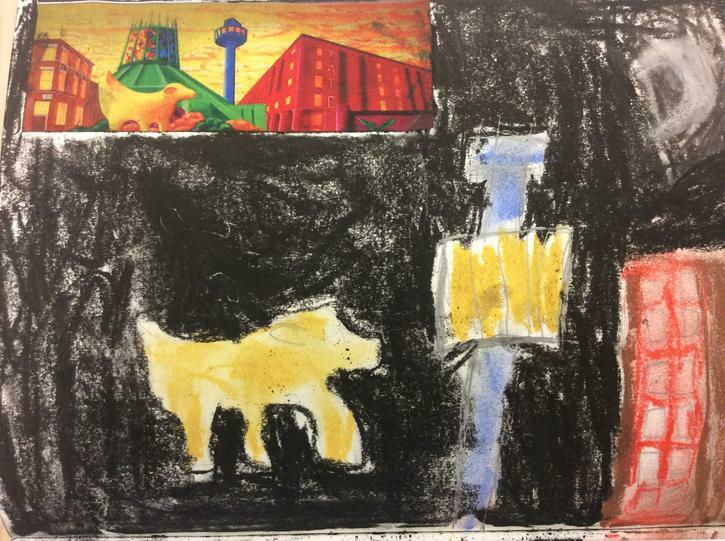 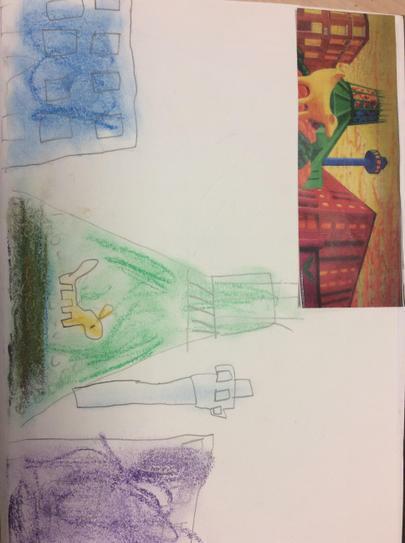 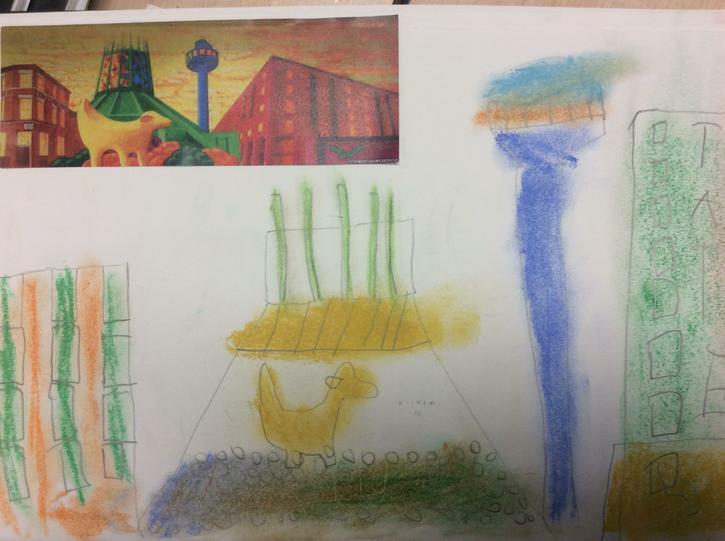 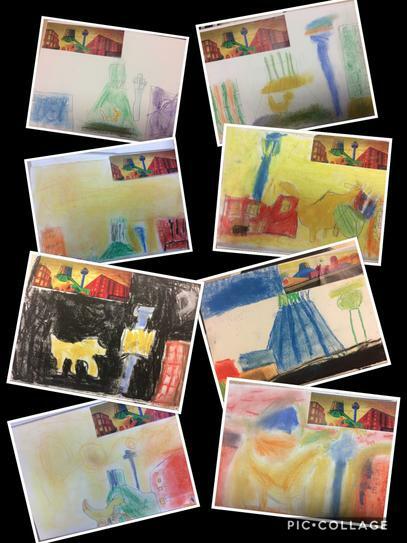 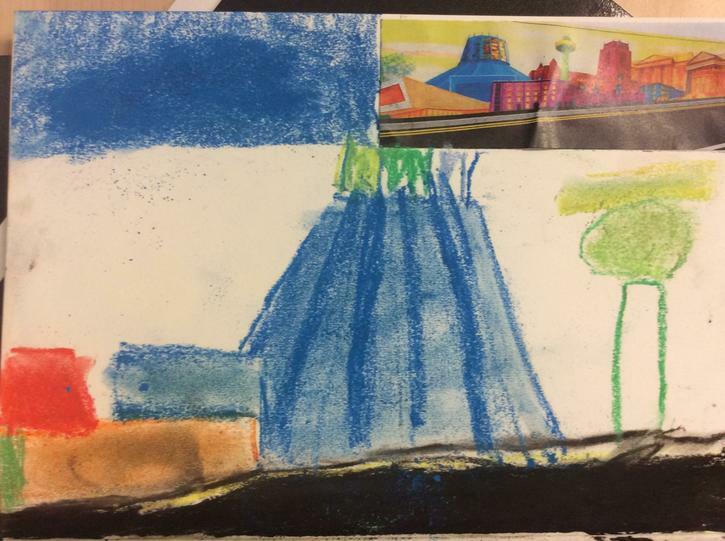 We looked at some of his art work of famous Liverpool buildings and completed our own. 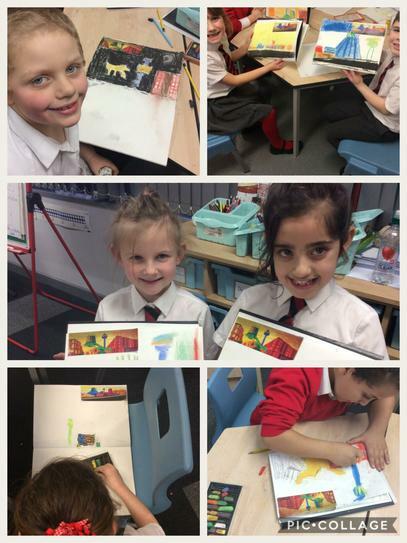 We was very lucky that Paul Curtis saw our work on our school twitter and was very impressed! 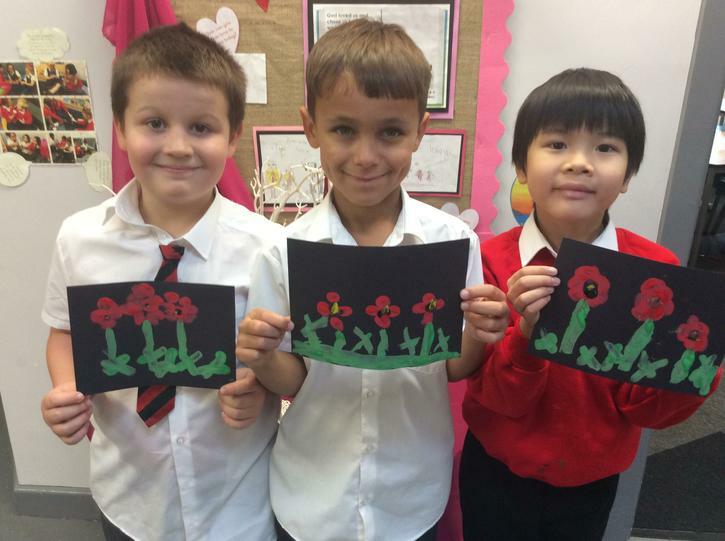 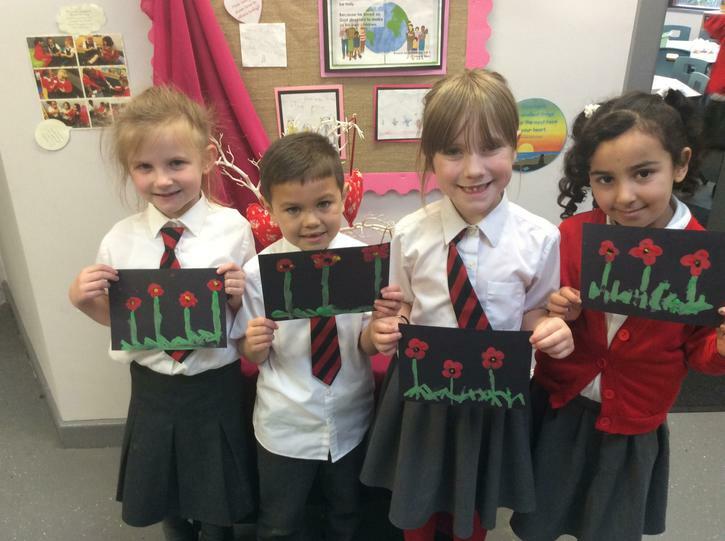 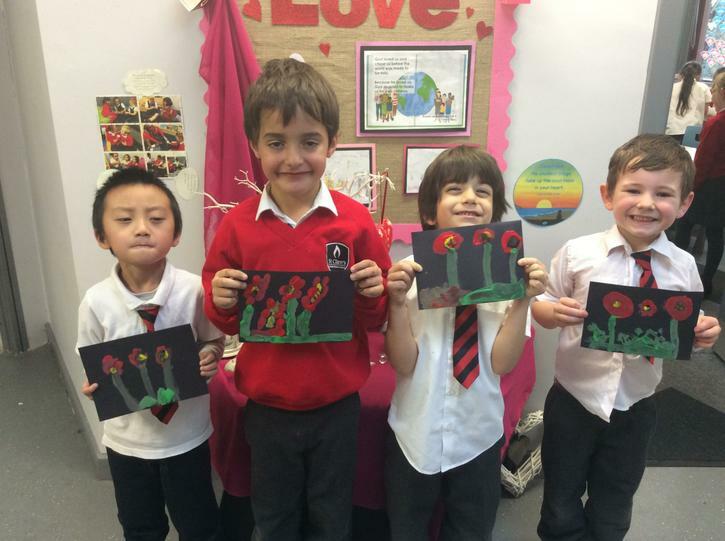 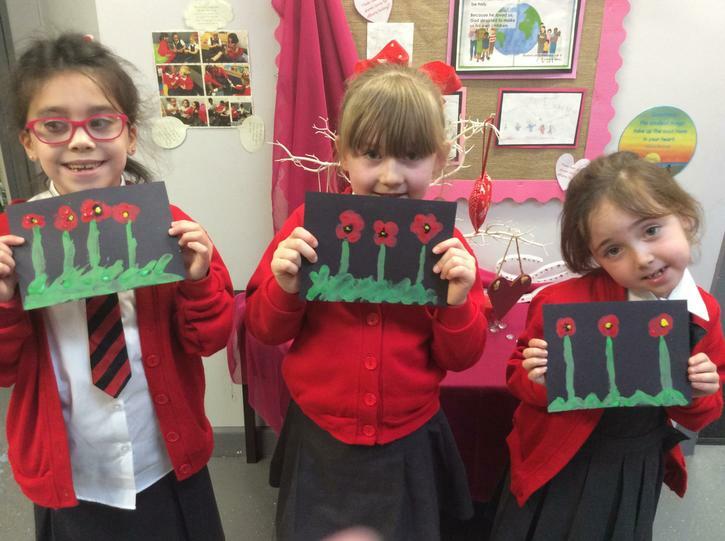 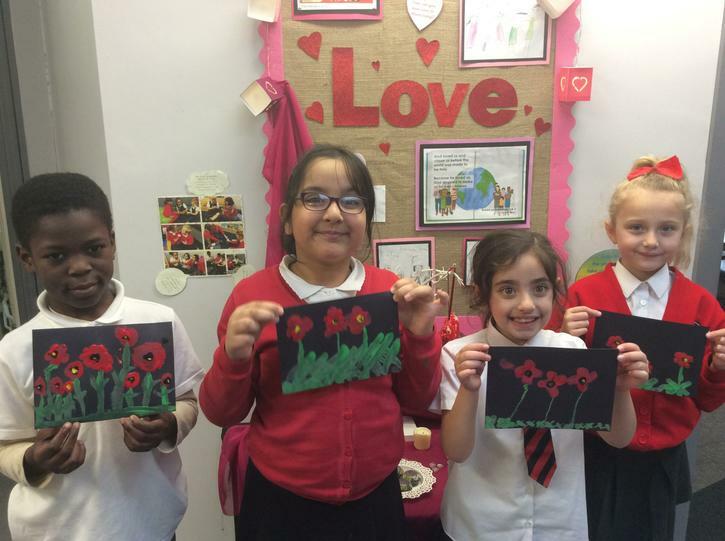 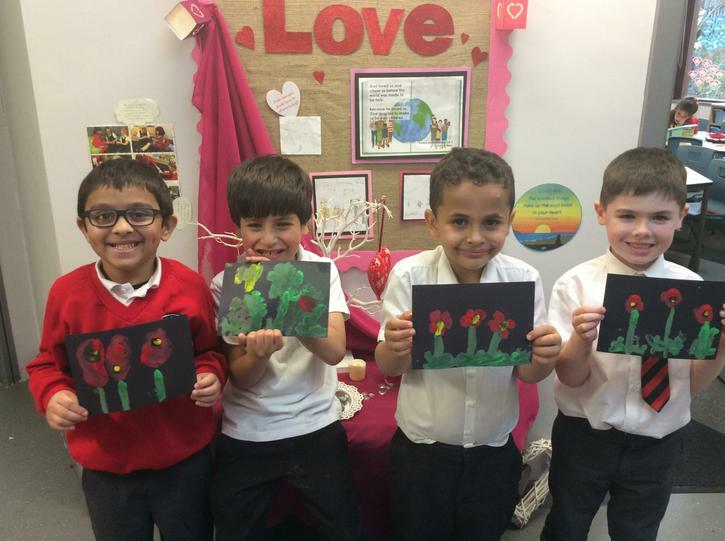 In rememberance we created some beautiful poppy pictures using just our finger prints. 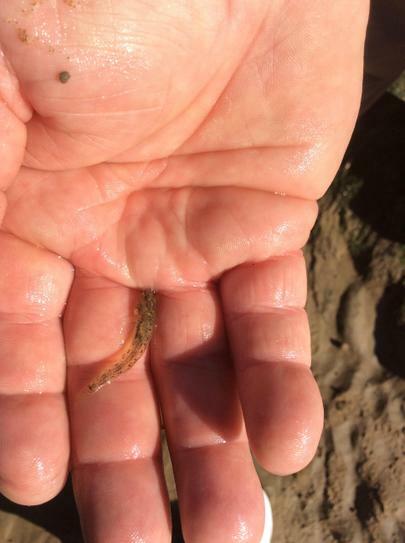 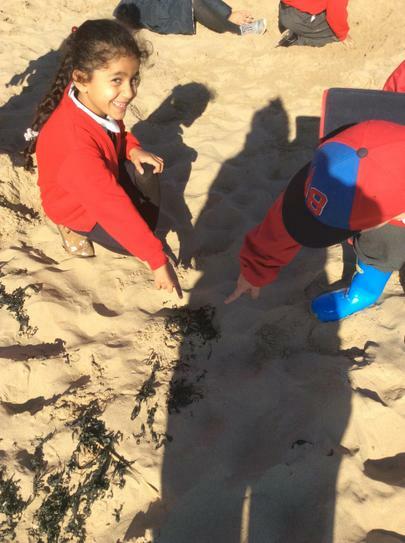 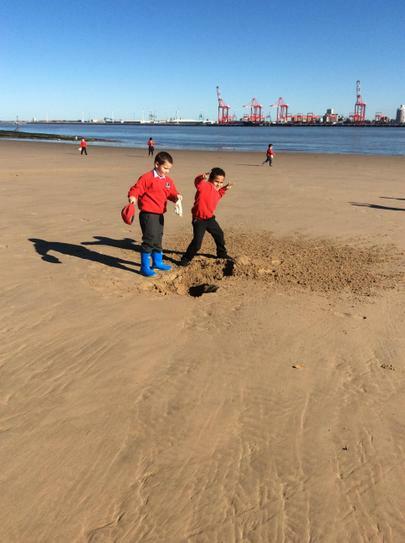 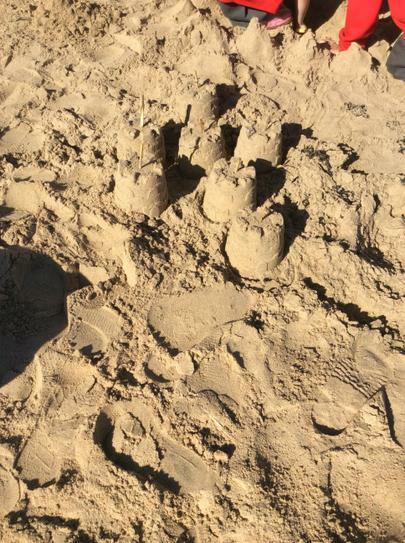 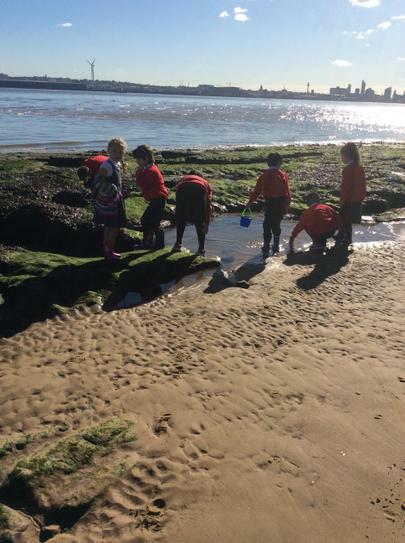 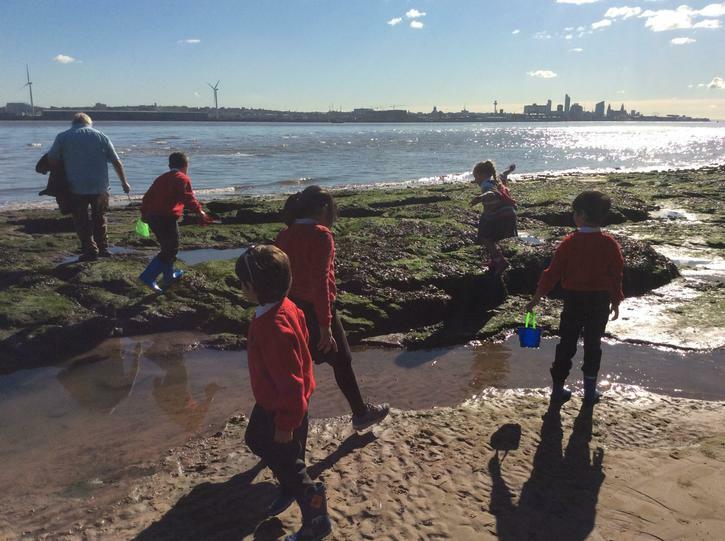 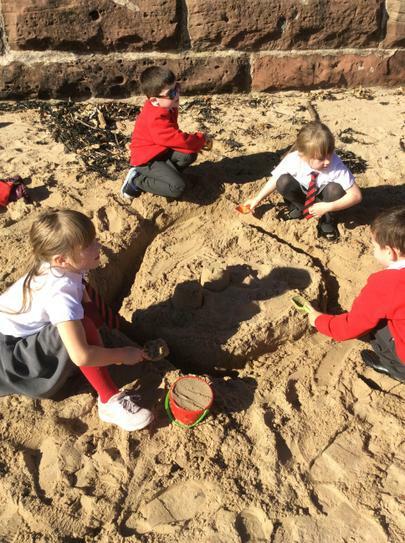 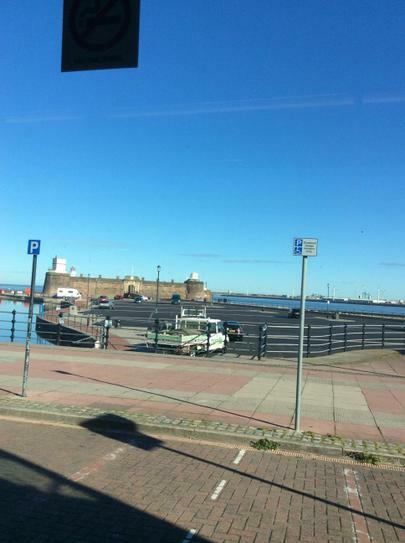 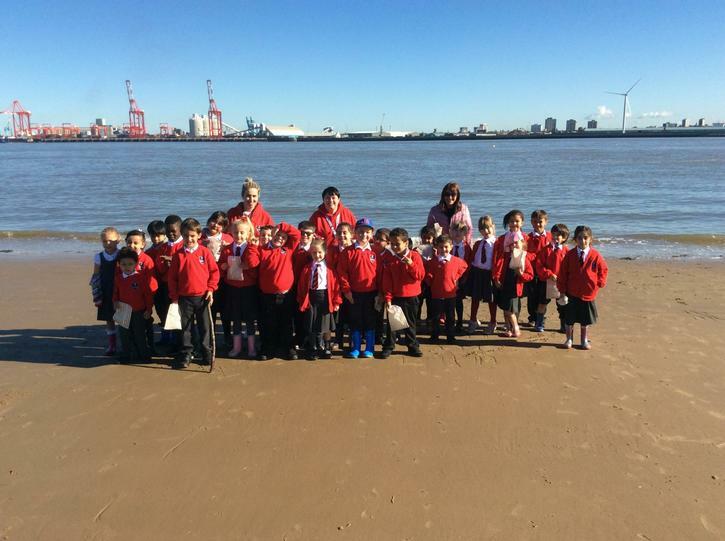 We had a fantastic trip to New Brighton beach. 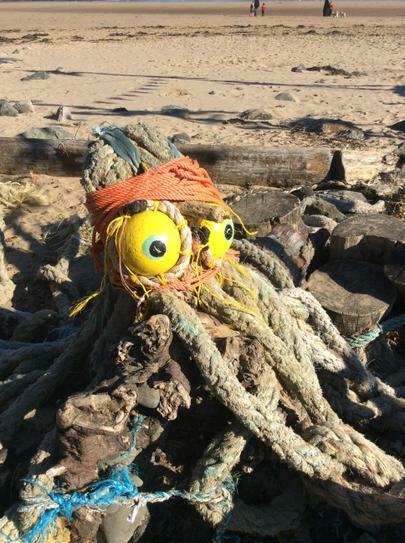 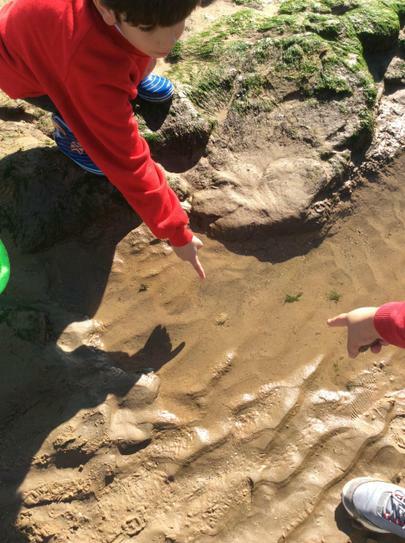 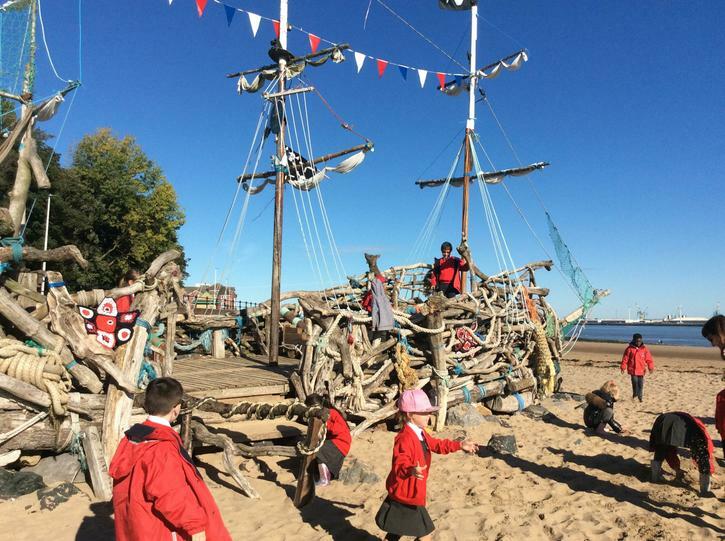 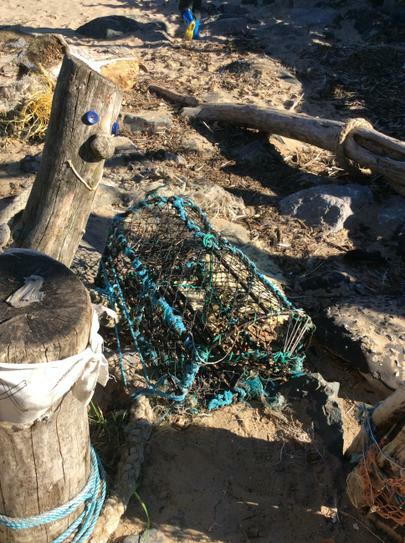 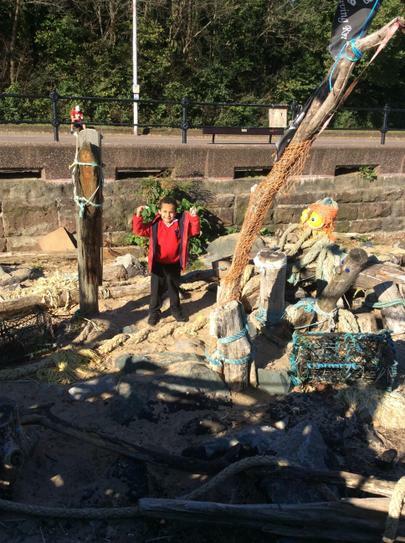 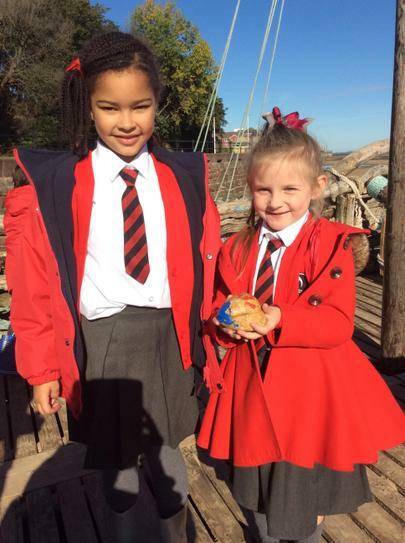 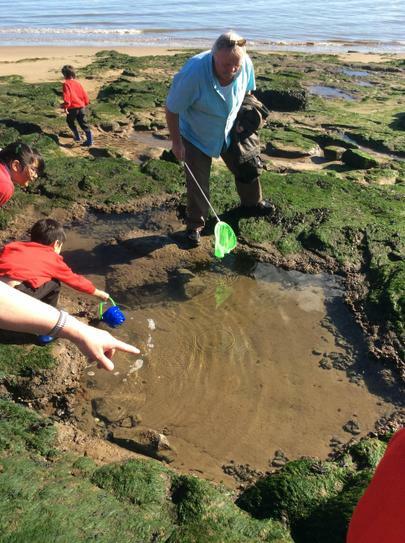 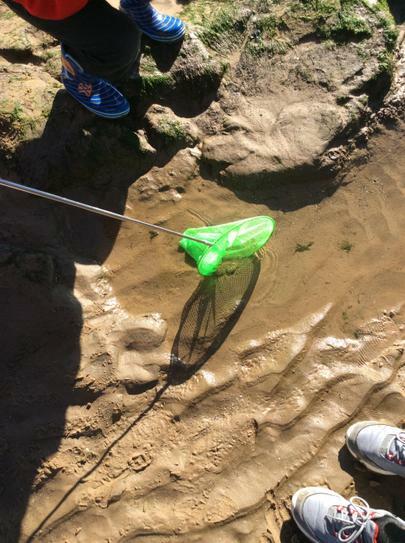 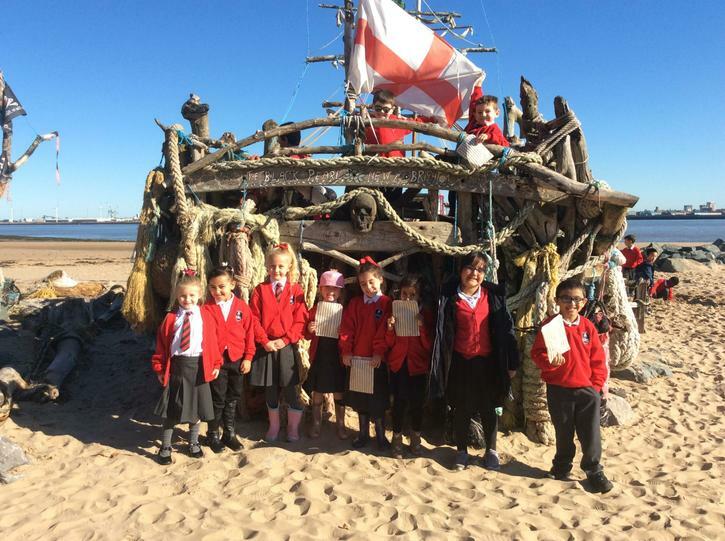 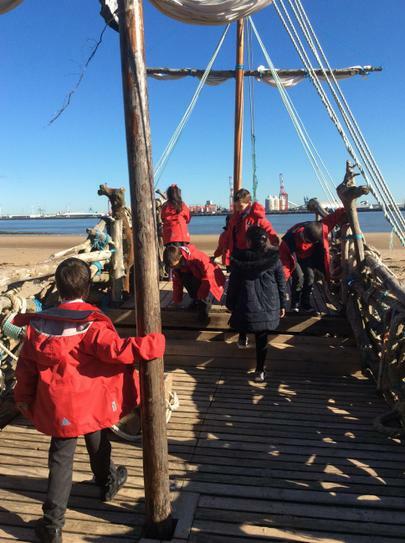 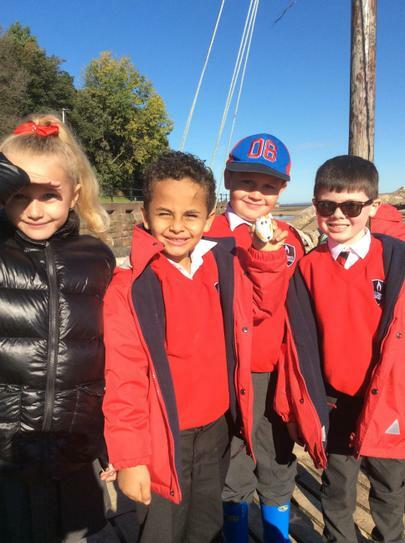 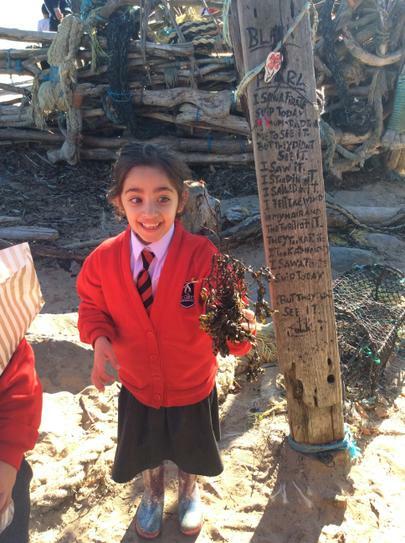 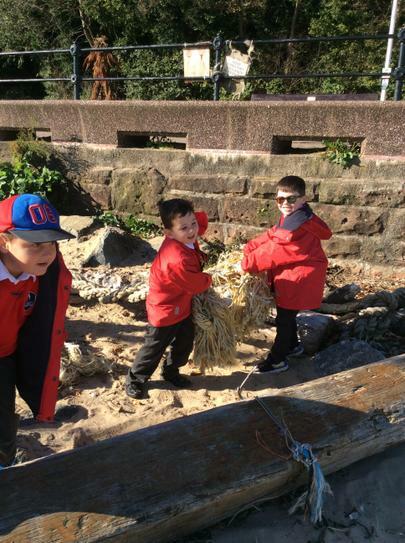 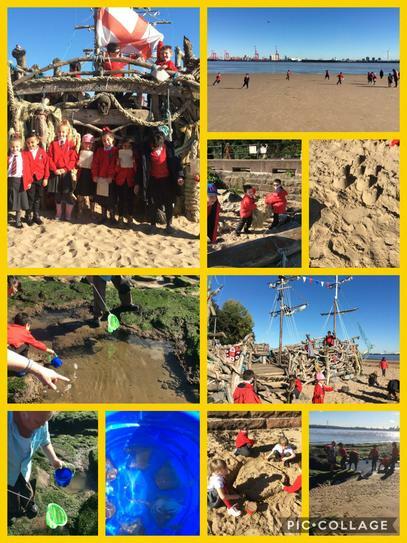 We played on the pirate ship, looked at coastal features, collected shells and went rock pooling. 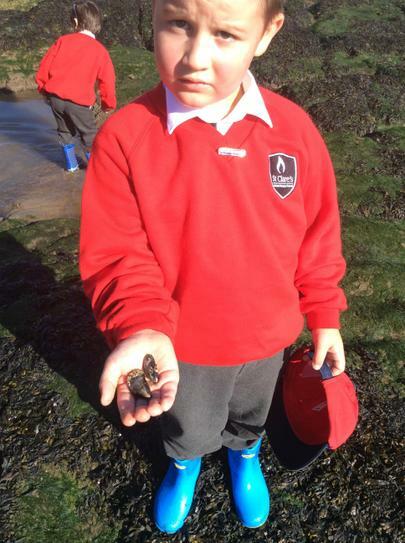 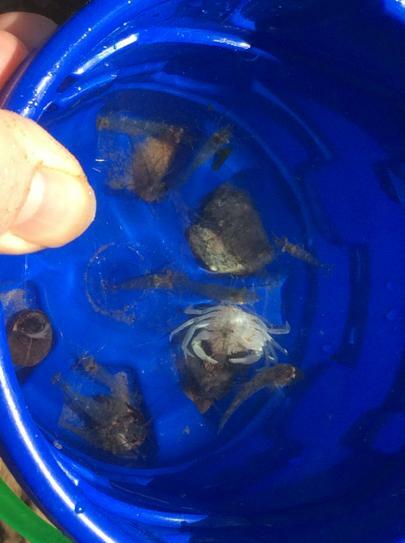 We used venn and Carroll diagrams to sort and classify the shells we collected from our trip.